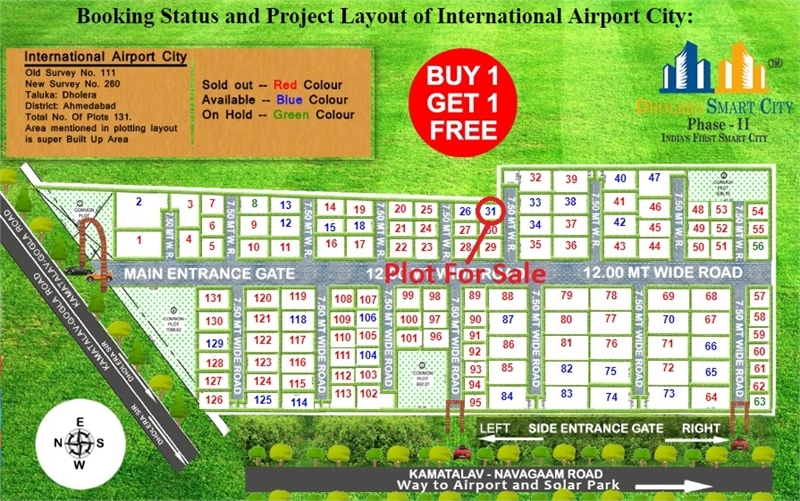 Property Description: Buy a best residential plot in dholera, which has world’s first class infrastructure. Corner Plot No. 31 available for sale. It has 1617.75 Sq Ft area on 7.5 Meter wide road. Dholera Smart City Phase 2 Project is close to Dholera International Airport Zone & Solar Zone and 2.5 km from State Highway 6. Easy EMI options are available.